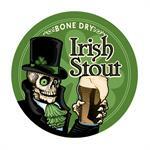 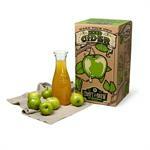 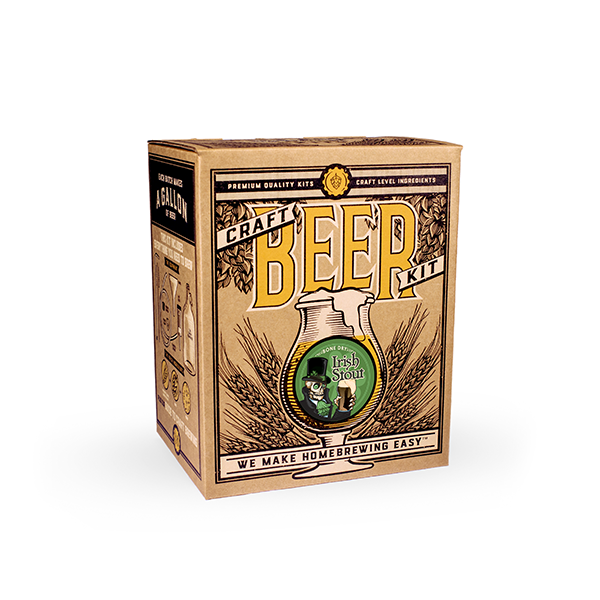 The luck of the Irish will be with you through the home brewing process on this one! 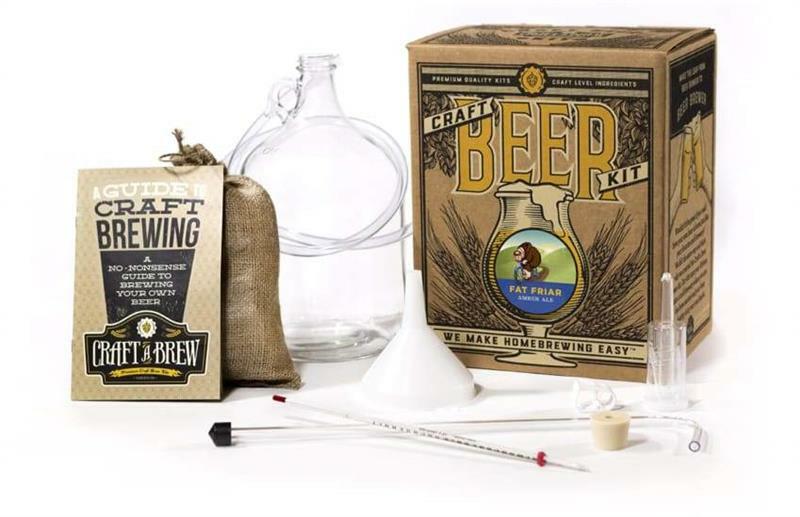 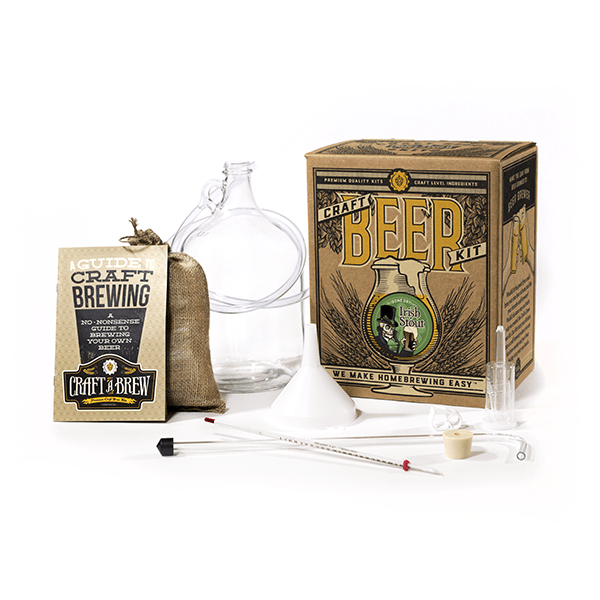 This beer brewing kit features our Bone Dry Irish Stout recipe, a dark and toasty brew with mild English hops and notes of coffee, chocolate, and toffee. 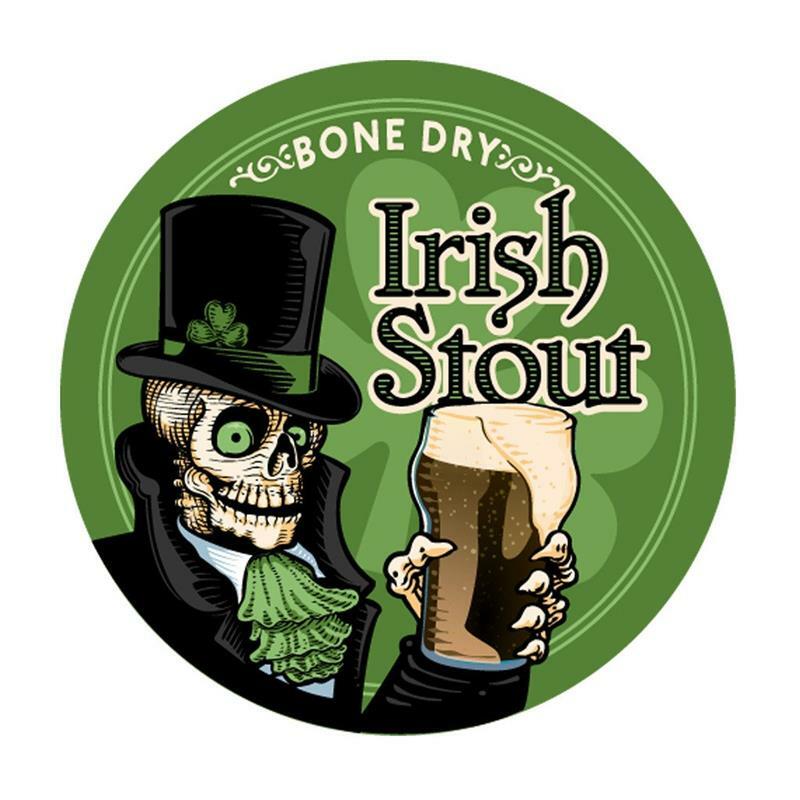 Ideal brew for St. Patrick's Day, or any day. Kit includes: Glass carboy, funnel, racking cane, rubber stopper, transfer tubing, tubing clamp, airlock, thermometer, guide to craft brewing, Bone Dry Irish Stout recipe kit, and sanitizer.